Roof sarking is a pliable laminated membrane containing an aluminium foil lining that’s positioned under both metal and tile roofs. It is installed when a house is built, during home extensions or if you’re renovating your home or restoring your roof. Under the Building Code of Australia (BCA) it is mandatory that all modern tiled residential roofs with a rafter length greater than six metres are sarked, however, it is considered good building practice to sark all tiled roofs to protect homes from the entry of external moisture. Here are the top 8 benefits of roof sarking. One of the benefits of roof sarking is that it prevents airborne dust from entering your roof space via gaps in your vents and down lights and collecting in the ceiling. This can allow potentially harmful contaminants into your home, which can irritate your family’s eyes, throats and skin and possibly cause asthma and respiratory and cardiovascular health problems. 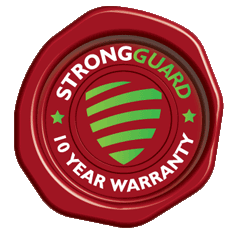 In a country that sees its fair share of extreme weather conditions and storms, roof sarking is definitely worth considering as it can act as a barrier to hail or flying debris that can damage your roof. 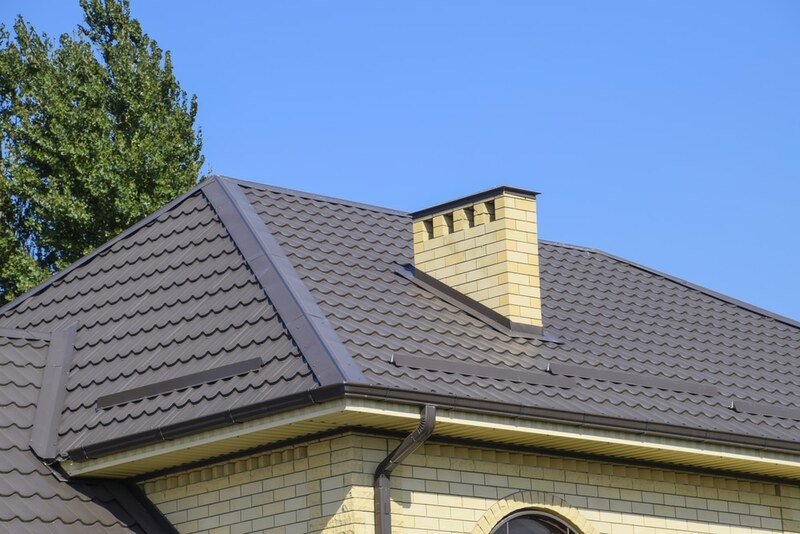 In terms of the advantages of roof sarking, it can also help channel moisture away from the roof and into gutters, which can protect the interior of your home from potential water damage. Another one of the advantages of roof sarking on homes that are in areas prone to thunderstorms is that it can help protect your roof cavity from wind and driving rain. If your new home is currently under construction it can also protect the building structure from the elements prior to the roof application by limiting water damage to the internal structural components. Roof sarking can also restrict the flow of moisture both in and out of a home and manage the risk of condensation by allowing moisture to escape and prevent water from entering. Condensation can cause a number of issues including health risks due to unseen mould growth behind wall and ceiling linings and external cladding. It can also cause decay because moisture trapped within the structure can result in timber rot, the long-term corrosion of metal structures, nails loosening as a result of timber swelling, and cladding to swell or rot which can result in costly repairs. Condensation can also cause a reduction in a home’s energy efficiency and thermal performance due to the moisture saturation of insulation, and moisture trapped behind linings can cause both linings and plasterboards to stain and/or swell. All new homes built in Australia are now required to meet minimum standards of energy efficiency and installing sarking in your ceiling space can certainly help. Roof sarking assists with minimising the loss of heat during winter and it can also help keep your home cool during summer. In fact, when installed under roof tiles for example, roof sarking installation will reflect up to 95% of radiant heat away from the roof space and improve thermal performance by reducing heat flow through the roof. This means your home will be more comfortable, energy efficient and you should see savings on your energy bill! #6 – Roof sarking can improve the air gap R-Value. Air gaps exist in many building elements and can provide improvements in a building’s thermal performance. Heat that flows through air gaps associated with floors, ceilings and roof elements have what are called R-Values and the value achieved by an air gap is dependent on the emittance of the surfaces on either side of the gap. For an air gap to improve the thermal performance of a building, it requires the addition of a low emittance surface to one or both sides of the air gap. Sarking is one such addition and one of the functions of roof sarking is that it can help improve the thermal efficiency of your home. When positioned adjacent to an air cavity in an attic space, the R-Value of roof sarking can increase dramatically. Combined with ceiling insulation it can further enhance the energy efficiency of your home. This is because insulation acts as a barrier to heat flow and it can help keep your home warm in winter and cool in summer. Climatic conditions influence the level and the type of insulation, but overall it can reduce greenhouse gas emissions and your energy bill! Sarking may or may not be mandatory in a new home depending on a range of circumstances. These include whether it’s in a bushfire prone area and other factors like the roof pitch and wind speed. It’s also determined by the home’s distance from airports, farmlands, national parks, golf courses, large bodies of water and major freeways. Roof sarking can help protect a home from flying embers that enter the ceiling space through the roof in the event of a bushfire. It is mandatory in all areas of Bushfire Attack Levels (BAL) of 12.5 to 40 in order to meet thebushfiree ember attack requirements. This is in accordance with Australian Standard 3959, which covers the bushfire safety requirements of a building in a bushfire prone area. Roof sarking in this instance can provide a secondary form of ember protection for the roof space. Building a new home and need information about the benefits of roof sarking? Contact us on (07) 3623 4422 for a quote!